And I have been remembering to take my own mug along to my German classes!! I just keep forgetting to say so lol... I did like Clair's idea of taking a flask along, but it only actually costs 40p and helps the organisation to raise funds so I decided I could probably manage that :-) This thermos mug is working well, I get my coffee at the beginning of class, and by the time we have a break it's just right for me to drink. And I avoid the queues that way too. Bonus! being so organised seems appropriate for a German class! Love that crocus photo, they are such beautiful colours aren't they? The lady who lives opposite me has planted dozens and dozens of crocuses under the grass on her front lawn and at the moment it looks like a colourful carpet over there, such a good idea! I am loving all the signs of spring and can't wait for the first daffs to open in the garden...how sad am I!!?? As you are seeing signs of life we are in the midst of darker evenings and tired looking gardens, our summer is drawing to an end and we are ready for some cooler weather. I love those flask/mugs. They're so good - I even used to commute with them! Your spring is further along than ours. I'm jealous. 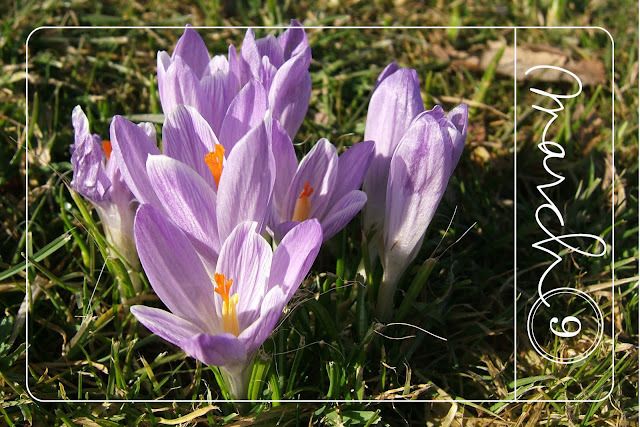 Love crocuses. Love seeing spring flowers, we're getting there! I have a few of the thermos cups and have just started using them again because I was forever drinking cold tea/coffee.